MIKE S. LEE, PHD is President of Milestone Development Services. He is actively involved with consulting, workshops, and symposia to connect industry needs with innovative technologies and solutions. His research interests include the applications of mass spectrometry for the analysis of proteins, natural products, drug metabolites, impurities, and degradants. Recent work has involved the development of automated orthogonal control systems for electrospray ionization. Formerly, Dr. Lee was director of analytical research and development at Bristol-Myers Squibb (BMS) Pharmaceutical Research Institute where he led interdisciplinary teams that contributed to the Food and Drug Administration's approval of Buspar® and Serzone, and the accelerated development and approval of TAXOL. Dr. Lee is a member of the American Society of Mass Spectrometry, American Association of Pharmaceutical Scientists, and the American Chemical Society. In addition, he has authored over forty scientific papers and issued patents. 1. Miniaturized Formats for Efficient Liquid Chromatography Mass Spectrometry-Based Proteomics and Therapeutic Development. (Gary A. Valaskovic and Neil L. Kelleher). 2. 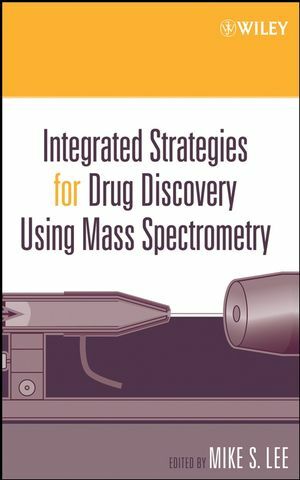 Mass-Spectrometry-Based Drug Screening Assays for Early Phases in Drug Discovery. (Marshall M. Siegel). 3. ESI-FTICR as a High Throughput Drug Discovery Platform. (Kristin A. Sannes-Lowery, Lendell L. Cummins, Shuo Chen, Jared J. Drader, and Steven A. Hofstadler). 4. Mass Spectrometry- Based Proteomic Approaches for Disease Diagnosis and Biomarker Discovery. (Thomas P. Conrads, Haleem J. Issaq, Josi S. Blonder, and Timothy D. Veenstra). 9. Application of Technological Advances in Biotransformation Studies. (Carmen L. Fernàndez-Metzler, Raju Subramanian and Richard C. King). 13. An Integrated LC-MS Strategy for Preclinical Candidate Optimization. (Jonathan L. Josephs and Mark Sanders). 16. Organ Perfusion and Mass Spectrometry. (C. Gerald Curtis, Ben Chien, David Bar-Or, and Kumar Ramu).